19.apr.17.so very sad the building almost gone. Isure hope they find out how. an why it was on fire, darn.. 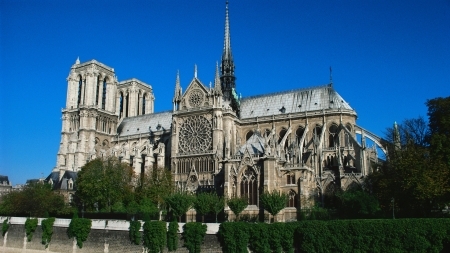 The cathedral is first and foremost a jewel of French Gothic, long remained the highest monument in Paris before the construction of the Eiffel Tower in 1889.